Meet a midge from the sand-spring! 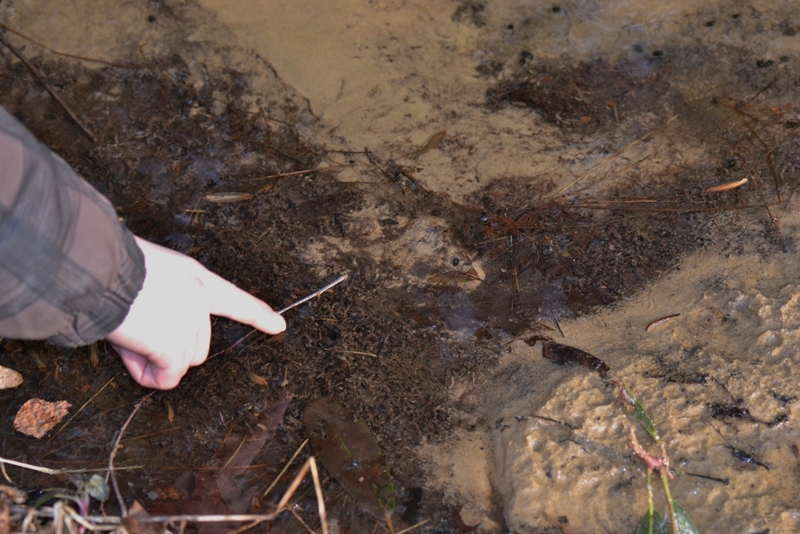 My boiling-sand spring contains innumerable sand tubes from the larvae of chironomid midges. 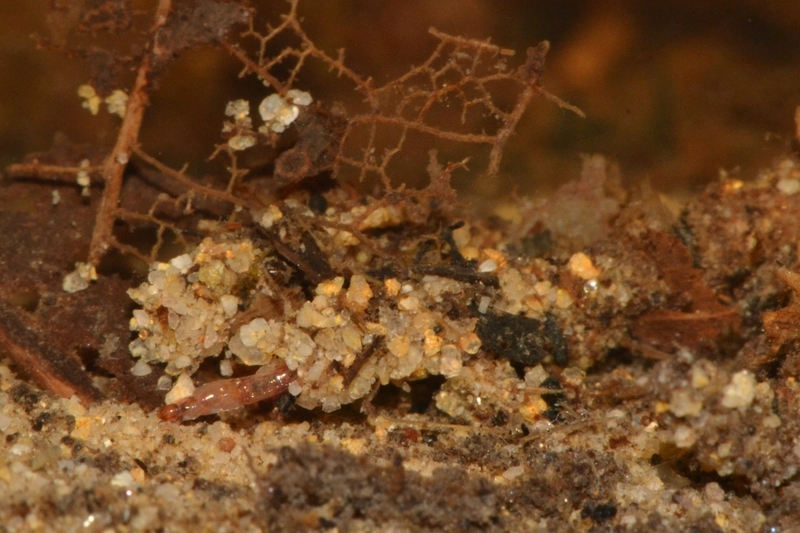 These chironomid midge larvae live in retreats, or tubes, they construct from sand and other particles. I'll post more details about the midges and their larvae in my next post. 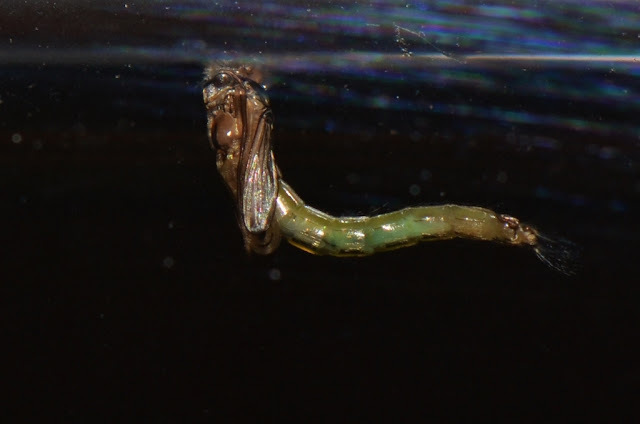 Here is a photo of a midge pupa that is ready to hatch. It wiggled, or whipped, in a manner similar to a mosquito larva, in order to maneuver through the water and rise to the surface. Notice how the legs each have their own sheath and how they are neatly looped under the wings. 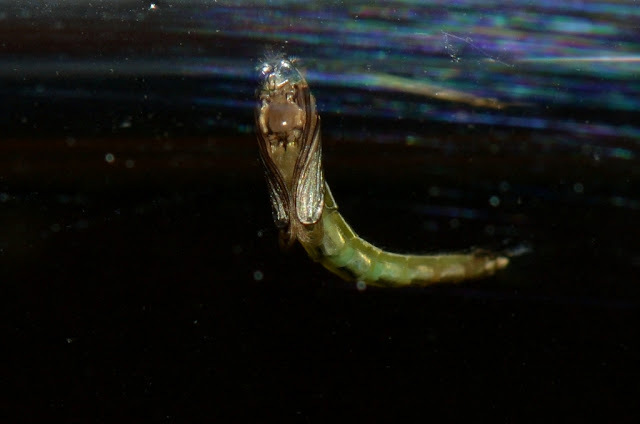 Shortly after surfacing, a small miracle happens... the midge somehow hits the "eject button" and emerges from its pupal case and from the water-world without becoming caught in the surface film. 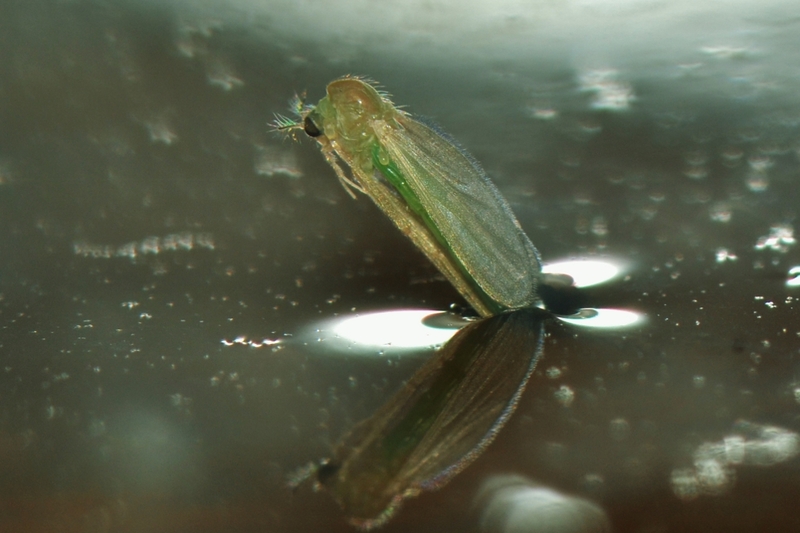 Only seconds earlier this midge was an aquatic insect from a sand-tube on the spring-stream bottom. The emergent adult midge can fly away almost immediately. The pupal skin is still trailing this freshly emerged female chironomid midge. 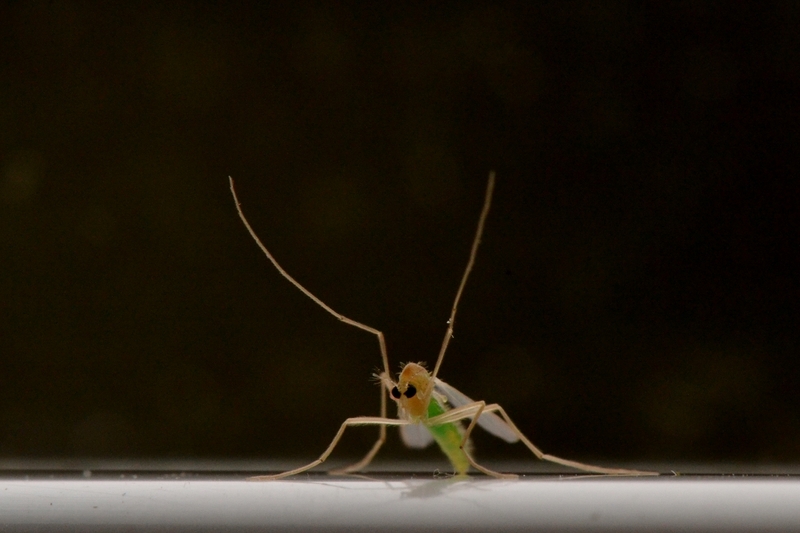 Here is a photo of a male midge and his feathery antennae. 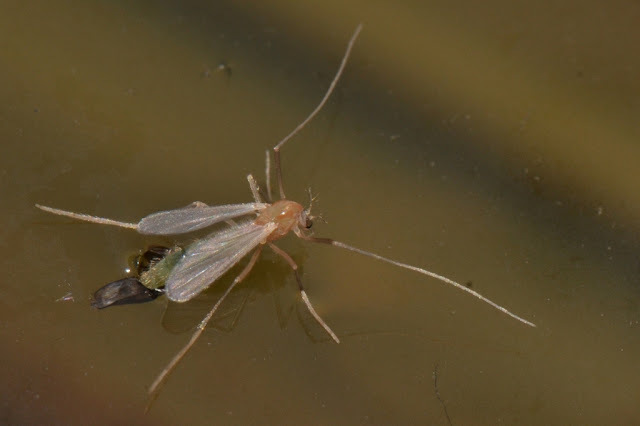 Note the typical chironomid midge stance of raised forelegs. 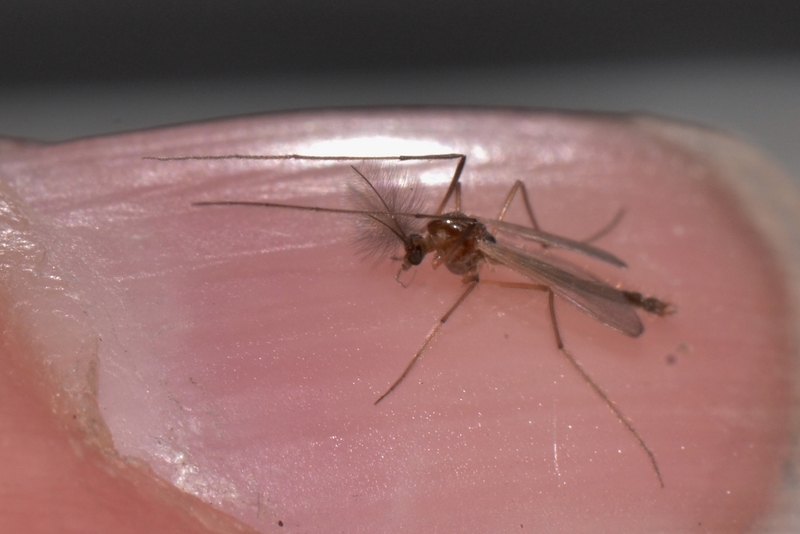 Oh, and I have the midge on my index finger to give an indication of its small size. Wouldn't you agree that these chironomid midges and their tube-dwelling larvae are worthy of another Nature Post? Most worthy of another post. Your photos are a wonder Dana.